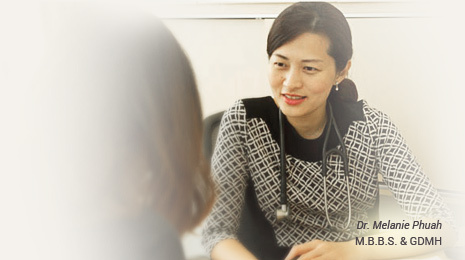 Dr Melanie Phuah has more than 10 years’ experience in intensive and chronic medicine. She has trained in various hospitals in United Kingdom and Singapore. During this time she noticed that patients are often not assessed and managed in a holistic approach at primary care clinics. She has since further her studies and obtained her Fellowship in Nutritional Medicine from Australasian College of Nutritional and Environmental Medicine, trained in Advance Nutrient Therapy by Walsh Research Institute and obtained Graduate diploma in mental health from National University of Singapore. Dr Phuah strongly advocates treatment of the whole person for her patients, taking into account mental and social factors, rather than just symptoms of a disease. 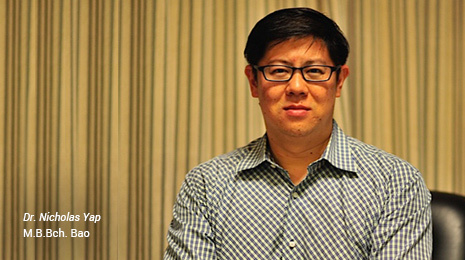 Dr Yap is a senior family physician with more than 10 years’ experience in Family Medicine. He has been trained in various hospitals in Ireland, United Kingdom and Singapore. His special interests include chronic disease management (diabetes, high cholesterol, high blood pressure etc.) , geriatric care , travel medicine, preventive medicine, health screening, weight management and he is also certified in exercise medicine.